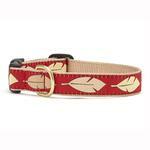 The town and country look of the Feathers Dog Collar by Up Country has a beautiful style design. 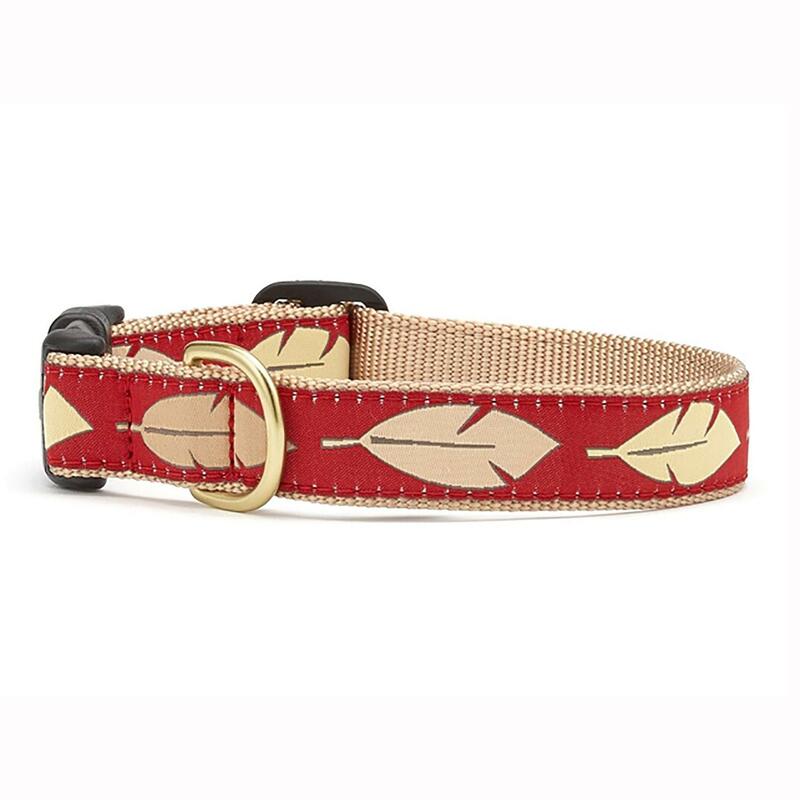 We love the elegance of the feather on red ribbon to make your dog feel down to earth! This collar is made from high-tensile strength nylon webbing with sewn on polyester/nylon ribbon. This collar is stain and fray resistant and stand up to heavy wear! The adjustable collar hardware consists of a cast solid brass D-ring and a plastic quick-snap buckle. This great dog collar is machine washable and made in the USA! I have been satisfied with all of the purchases I have made from BaxterBoo. It is the only place I can find items for my larger sized dog. Even they need to be warm too not only the little dogs!